At Frekhtman & Associates, our New York City truck accident lawyers offer experienced representation for clients involved in an accident involving a truck. These accidents involve garbage trucks, jackknife truck incidents, bucket trucks, and 18-wheelers. The trucking insurance companies have their own defense lawyers working hard to protect their interests. A timely investigation is crucial so that witnesses can be identified, witness statements obtained, and photos of the damage to the vehicles, points of impact, and location of the accident can be taken. In some circumstances, it is advisable to hire experts in the field of accident reconstruction or the trucking industry. To learn more and how this could impact your case, consult with an injury lawyer in New York City today. If a trucking accident victim does not hire a New York City truck accident attorney, the insurance carrier will be much better off financially. That is why adjusters call victims and offer anywhere from $500 to $5,000 settlements days after an accident in exchange for a signed release. Later, if the truck accident victim develops a serious and permanent injury that might require a spinal surgery, he or she cannot pursue any further claims. Yet, a back surgery case against a trucking insurance carrier may be worth well in excess of one million dollars. A driver shall not operate a truck when the driver’s alertness or driving ability is impaired or limited by fatigue, illness, or any cause (49 CFR section 392.3). No driver may be on duty and have in his possession or use any illegal drugs or substances (49 CFR 392.4). No driver shall drink alcohol within four (4) hours of being on duty to drive a commercial truck (49 CFR 392.5(a)). A commercial tractor-trailer shall not be operated on the roads unless the driver is satisfied that all vital parts of the truck are in good working order (CFR 392). No truck shall be driven unless the driver is satisfied that all emergency equipment is in full working order (49 CFR 392.8). A truck driver shall not carry freight unless the freight is secure, and the devices used to secure the cargo are in good working order (49 CFR 392.9). Extreme caution and the reduction of speed are necessary when hazardous road conditions are present for trucks such as rain, snow, ice, sleet, and similar conditions (49 CFR 392.14). When a truck must stop on the side of the highway, the driver must activate a vehicle hazard warning including signal flashes and warning devices (49 CFR 392.22). The Electronic On-Board Recorder (EOBR) or black box inside the truck keeps track of events and diagnostic information both prior to, in the midst of, and after a truck accident in New York City. A complete inspection of the truck is important for a comprehensive understanding of all the possible causes of a truck accident. A trucking safety engineering expert should examine the truck including the tires, engine, transmission, and other vital components. A review of maintenance and repair records alongside a contemporaneous inspection of the mechanical state of the vehicle involved in the crash can prove invaluable. An experienced New York City truck accident attorney will work with various liability experts including engineers, accident reconstruction specialists, and vehicle inspectors to obtain as much information as possible. Using inspection data from the vehicle inspection, the black box information, and documentary evidence, an accident reconstruction expert can pinpoint how the crash occurred, where the vehicles were positioned prior to the crash, the speed of the vehicles, how much distance they traveled, and other crucial data. Many documents are required to be kept by a trucking company pursuant to the Federal Motor Carrier Safety rules and regulations. Some documents may only be kept for six months and then destroyed. It is very important to immediately hire a truck accident attorney to preserve and obtain all vital evidence. Often an insurance company will attempt to obtain a recorded statement. When you hire a lawyer and file a lawsuit, the litigation process will include a deposition or Examination Before Trial (EBT), in which the insurance company lawyer will ask detailed questions about how the accident happened as well as your injuries. Naturally, there will be slight differences between the tape-recorded statement taken immediately after the accident and the deposition taken six months to more than one year after the accident. At the time of trial, the insurance company’s lawyer will point out little differences between the recorded statement, the deposition, and your trial testimony in an effort to discredit your case. 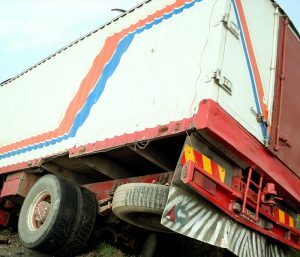 An experienced New York City truck accident law firm in NYC like Frekhtman & Associates can help with gathering evidence such as the driver’s logbook, GPS information, speed, and the truck’s “black box.” We will also handle witness statements from eyewitnesses and first responders, the driver’s driving history, and any other violations the driver was involved in. We will also evaluate the trucking company’s rules, regulations, policies, and their accident history. Whenever you or a loved one is involved in a truck accident in New York City, it is essential to have a team of attorneys willing to fight on your behalf. Seriously Injured in New York City? Copyright © 2019 by Frekhtman & Associates. All Rights Reserved.